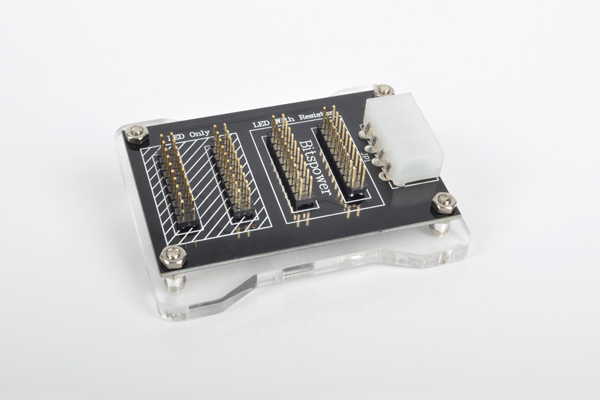 Features two sets of 2-pin connectors available in 12V and 3.3V for powering tailed LEDs. This can support both tailed LEDs with resistors and without. In Put Big 4PIN(Male) * 1PCS.